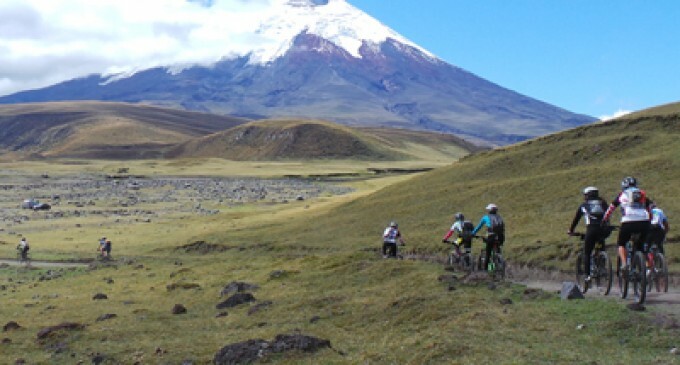 All about the Hiking Cotopaxi Combined with Biking and Climbing. 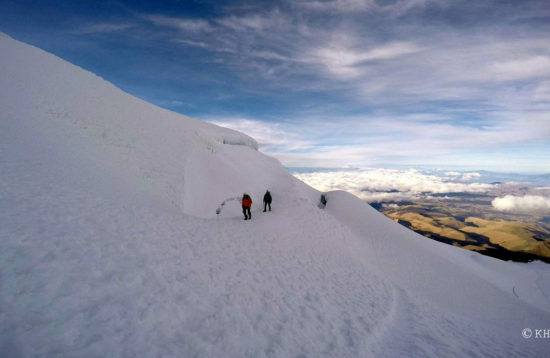 The Cotopaxi is not hard to climb concerning the required technical skills. Nevertheless, it is with its altitude of almost 6.000 mtrs a very high mountain, which requires some acclimatization, before climbing the peak. This 5-day program will offer you the opportunity to reach this goal. Basic climbing equipment: Boots, crampons, gear, ice ax. Fee for the refuge ($ 22.00). All overnight stays in the refuge, hotel and on the campsite. Meals that have not been mentioned. Own equipment (wind jacket, trekking shoes, hat, etc.). Tips (tourist guide, driver, luggage carrier, etc.). With the car we drive on the Volcano Street towards the south to the “Valle de los Chillos” and afterwards to the northern entrance of the Cotopaxi National Park, which is called “El Pedregal”. 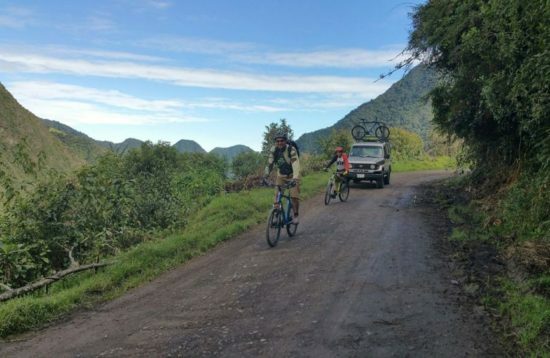 From this point we start the biking tour at an altitude of 3.200 mtrs. Most of the way is going upwards. We go from an altitude of 3.200 mtrs. 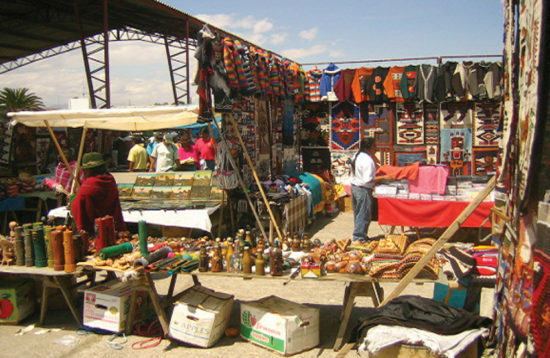 up until 3.800 mtrs, where we will have a break to visit the old Inca ruins of El Salitre and to eat lunch. After lunch we follow a path heading towards the Limpiopungo valley. Here we build our camp. End of the biking tour. Dinner and overnight in tents. Discussion about climbing to the peak and climbing on ice. Breakfast, afterwards car drive to the parking lot (4.500 mtrs) and hike (45 min.) to the refuge. Discussion about climbing on a glacier (2 ½-3 Stunden), afterwards return to the refuge, where we eat dinner and spend the night. 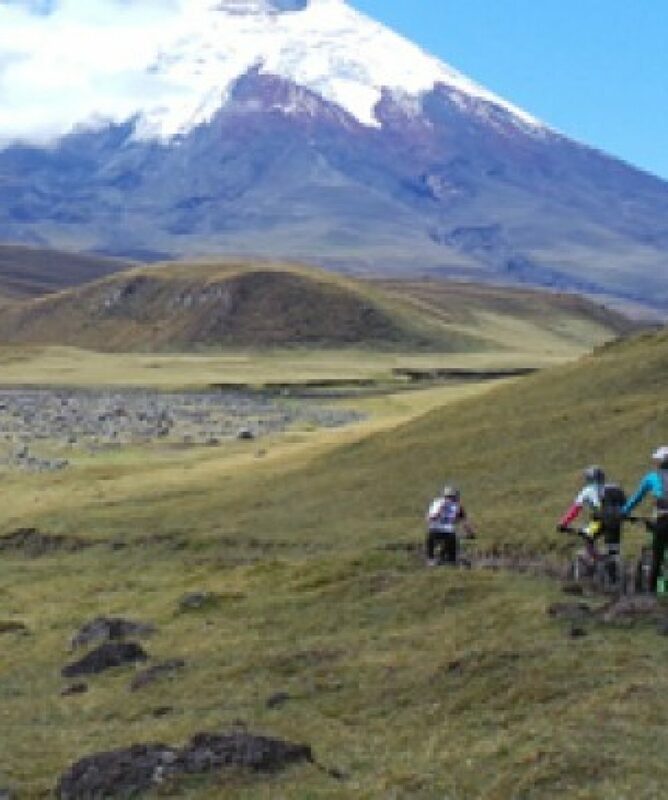 Climbing the Cotopaxi. At midnight we enjoy a breakfast and start our climb afterwards. 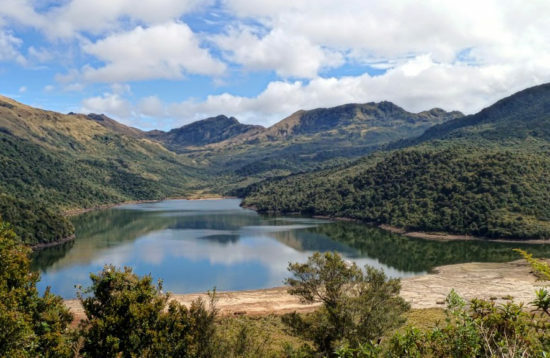 We follow the normal route and expect to reach the summit after 6- 7 hours. On the way we can enjoy the impressive view onto the crater of this amazing volcano. With good weather we can see until the Chimborazo volcano. Afterwards we descend to the refuge and subsequently to the parking lot. Return to Quito at about 18:00. Overnight in the hotel.